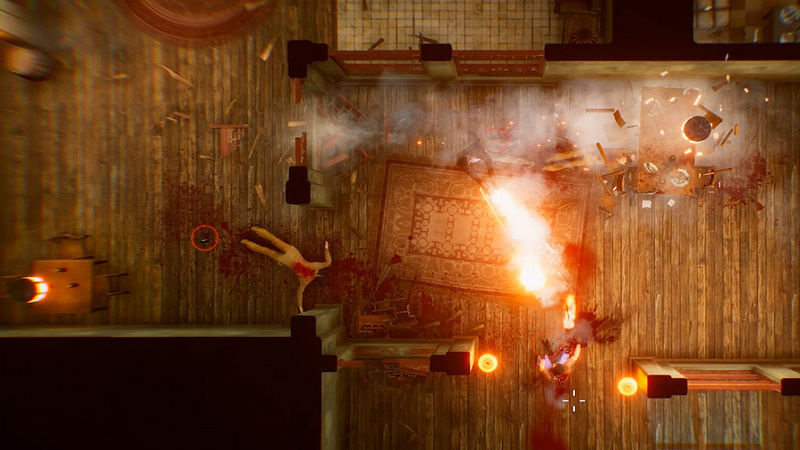 We were ready to like The Hong Kong Massacre from Swedish indie studio Vreski, but unfortunately it disappoints at almost every turn. This top-down, twin-stick shooter is clearly inspired by the excellent Hotline Miami, a game with brutally fast action, instant restarts, and an addictive rhythm to its gameplay. This title has attempted to ape the intense, violent nature of Devolver’s cult hit, but it’s not a favourable comparison at all. Of course, it isn’t a direct clone. You start each level with one of four weapons – it doesn’t take long to unlock them all – and go to town on the lowlifes inhabiting each stage. The twist here is the introduction of a dodge, which takes the form of elaborate flips or dives, and slow motion, giving you a little extra time to gather yourself before you leap back into action. It brings to mind John Woo’s movies or the Max Payne games as you hop about the environment while gunning down thugs. It’s a good idea, but sadly, it doesn’t gel as well as you’d think. The main problem is with the dodge, which locks you into a lengthy animation, usually resulting in a swift death. You’re invincible during the dodge, but enemies will still be firing at you as you come out of the animation. Unless you’ve had the forethought in the heat of a gunfight to leap behind cover, that’s you dead — and what counts as cover isn’t always clear. Enemies can see and shoot you through windows, but they aren’t marked very well, again resulting in unexpected deaths. You can also use that dodge to leap across gaps or, sometimes, even over walls, but it feels too imprecise to use effectively for this purpose. The baddies are tough — they’re quick to realise your presence and have pinpoint accuracy, making it hard to get the jump on them. These guys aren’t kidding around, and the difficulty of the game stays consistently high throughout. You’re more likely to feel relieved than satisfied about completing a level after dozens of attempts. Elsewhere, the game simply feels underdone. The shooting is responsive and brutal, but the sound design leaves a lot to be desired. If you run out of ammo in your current weapon, you’ve no other means of attack; your only option is to collect another gun from the floor, which is easier said than done when all enemies have eagle eyes. Visually it’s okay but it’s often drab, with uninteresting environments that all blend together. To top it off, the story is dull and predictable, and other minor issues such as inaccuracies in the UI just give the impression of a game that could’ve done with a bit more time. 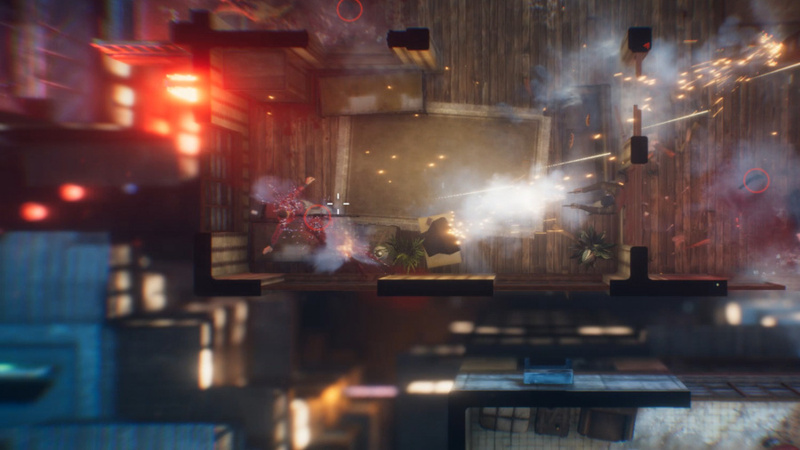 The Hong Kong Massacre’s inspiration is clear, but unfortunately, it doesn’t have the gameplay, the personality, or the energy to stand alongside it. The slow-mo shooting can be fun, but with tough enemies and a janky dodge manoeuvre, you’ll more often than not be frustrated by death after death. With a little more polish, it could’ve been an entertaining romp, but as it stands, redeeming qualities are few and far between.